IIM Raipur situated in the heart of Chhattisgarh, in the outskirts of the capital of Chhattisgarh, Raipur away from the hustle of the city life which lets students concentrate on their academic and extra-curricular activities, the campus is around 17km away from the airport because of which it is well connected to major cities of the country like Mumbai, Delhi, Calcutta, Bengaluru, and Hyderabad. 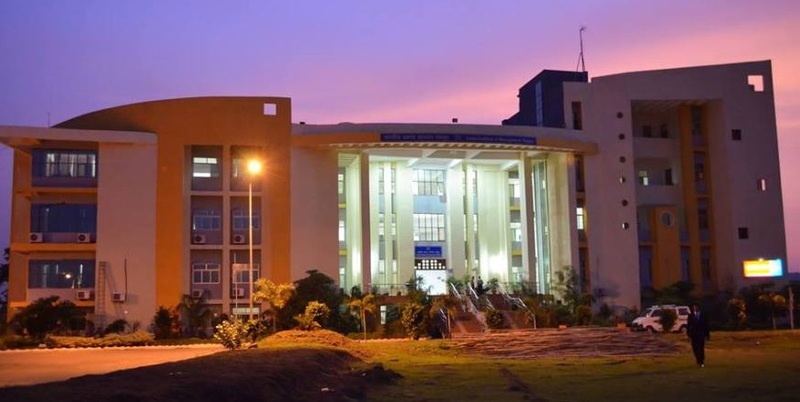 IIM Raipur, IIT Bhilai, and, GEC Raipur operate in close proximity which results in interaction between students of diverse educational backgrounds leading to new ideas, implementation of which could possibly be of great advantage to the society in terms of utility as well as business purposes. It is the bonding between the students which makes the campus of IIM Raipur unique from the campus of other B schools of the country where such kind of interaction among students might be difficult. IIM Raipur achieves 100% placement every year which signifies the strong relationship of the institute with the corporate world. Majority of the learning at IIM Raipur occurs through solving case studies and group presentations which build good team working, problem-solving and management skills among the students, which I feel is an essential skill for an individual to be capable of delivering their best while working in an Organization. We are fortunate enough to highly qualified faculty who assist students in developing great skillsets. IIM Raipur has a student exchange program, IIM Raipur has collaborations multiple B schools of the world, which helps students in getting a global exposure and interacting with people from various cultures of the world which would hopefully help the students of IIM Raipur in being better managers in the future. The late-night life at IIM Raipur starts with group discussions and preparation of quizzes, the institute encourages students to participate in various competitions related to case studies which would help in the development of skills. We have a diverse environment and a wide range of opportunities which bring out the best of the students of the institute. Equinox, the flagship fest of IIM Raipur is one of the biggest Cultural and Business fests in central India, where we have wars in terms of competitions among the best talents of the country, the pedagogy of IIM Raipur is such that it trains the students of the institute good management skills like time management, discipline, punctuality and team working skills which are essential in the corporate place to meet deadlines or targets so as to contribute to the organization. The campus also has a set of rules and guidelines and a security system in place so as to make the students follow the pedagogy strictly so that it is efficient and meets the purpose for which it has been designed so. IIM Raipur also has a strong alumni strength, we have students working in multiple organizations belonging to the different sectors of the industry, who would play a key role in mentoring us to follow the right career path to be an efficient manager in the future and are a great support to the institution. I would like to work for Aditya Birla Sun Life Mutual Fund because I’ve always been interested in equities since a young age. However, I’ve recently started trading and investing in stocks. I am aware of Fundamental and Technical analysis and take Buy and Sell calls by analyzing the Technical charts, I am confident of developing better skills-sets as I complete my course at IIM Raipur which would eventually help me in becoming a good Fund Manager in the future. My interest in working for ABG is not because of my interest for Equities, it is also because ABG is one of the biggest conglomerates in the country with business in almost all industry sectors and I’d be proud to be a part of ABG.